Three years ago Brett took a special group of kids from Children’s Hospital Fishing. One of the kids was Tyler Skarzenski. It started in the morning at the Alpine Hunting and Fishing Club in Bridgeville. 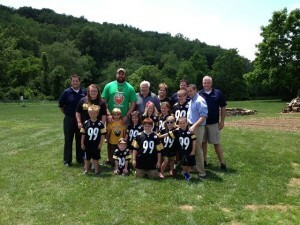 Four patients from Children’s Hospital joined some contest winners from a local appliance store to spend the morning fishing with Steeler defensive end Brett Keisel. “I grew up with a fishing pole in my hand. 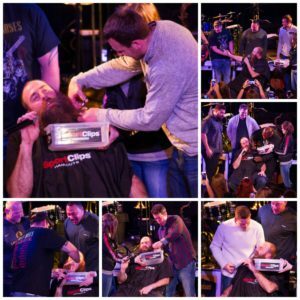 I think that is something that has made me who I am today — being outside in the great outside,” Keisel said. And the children were ecstatic. “I am fishing here with Brett Keisel and it is very cool. I talked to him for a little bit and I am going to get some autographs,” Tyler Skarzenski said. Tyler lost his leg in an ATV accident a year ago. He said he will soon be getting a prosthetic, but this day with a famous two-time Super Bowl winner is even better news. “It helps makes it worth losing a leg,” Tyler said. Brett, I just wanted you to know how great Tyler is doing. He just turned 17! 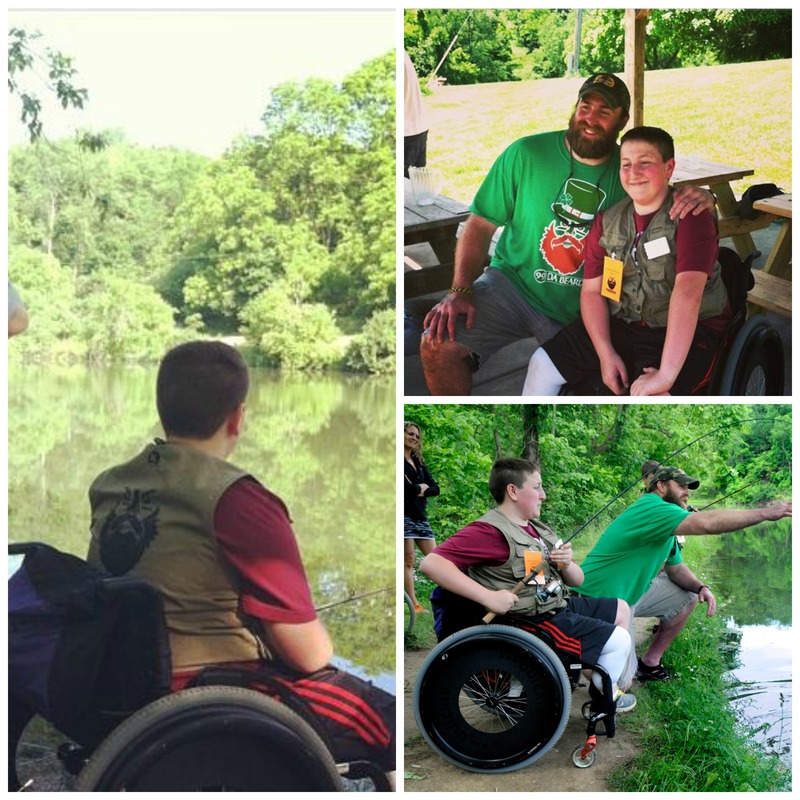 He and his dad got to do some fishing with you about 2 years ago, this was while he was still in a wheel chair. He’s up and at-em now. No stopping this kid. He’s back to doing everything he loves. Spending time with you was a godsend for him. It truly made a difference. I will always be grateful for that opportunity. You are an amazing player and and even more amazing person. You made a change in all our lives.